UV protection tint blocks harmful UVA & UVB Rays. 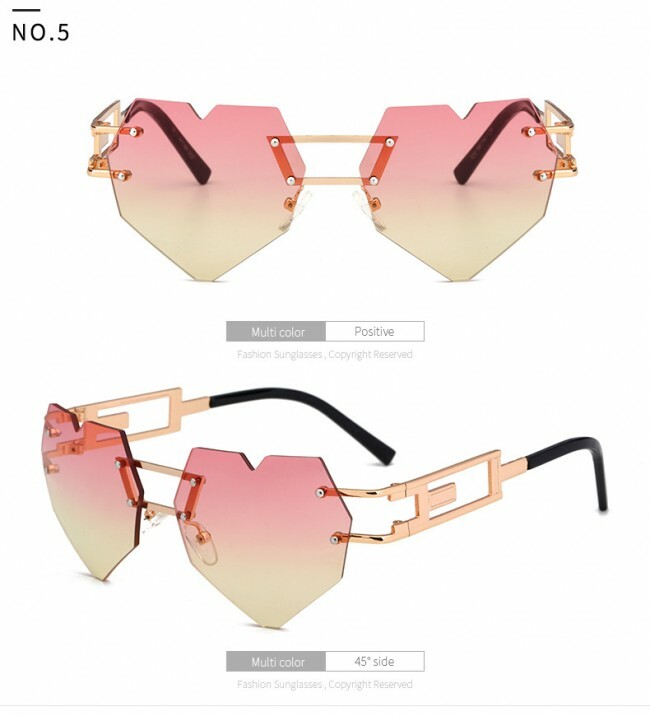 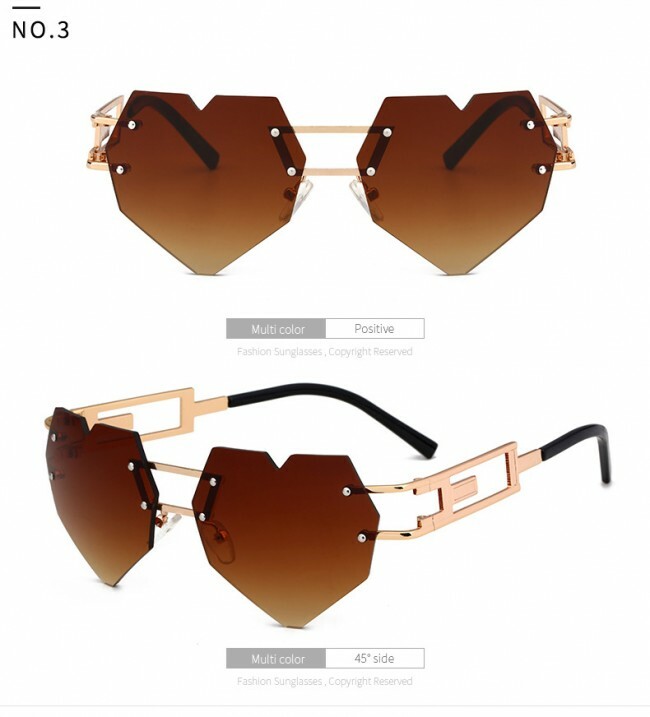 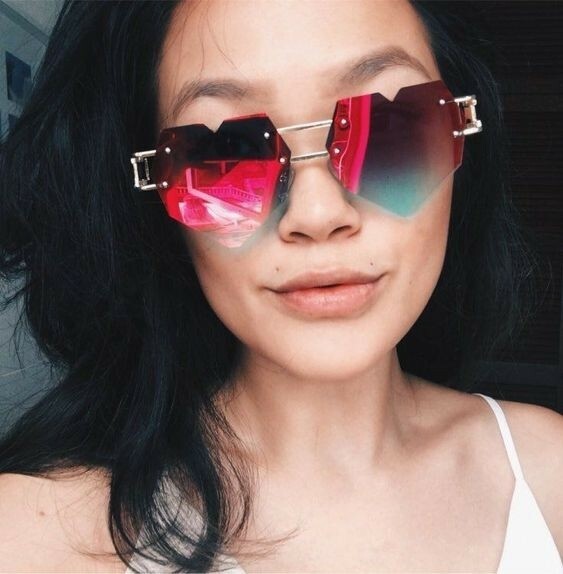 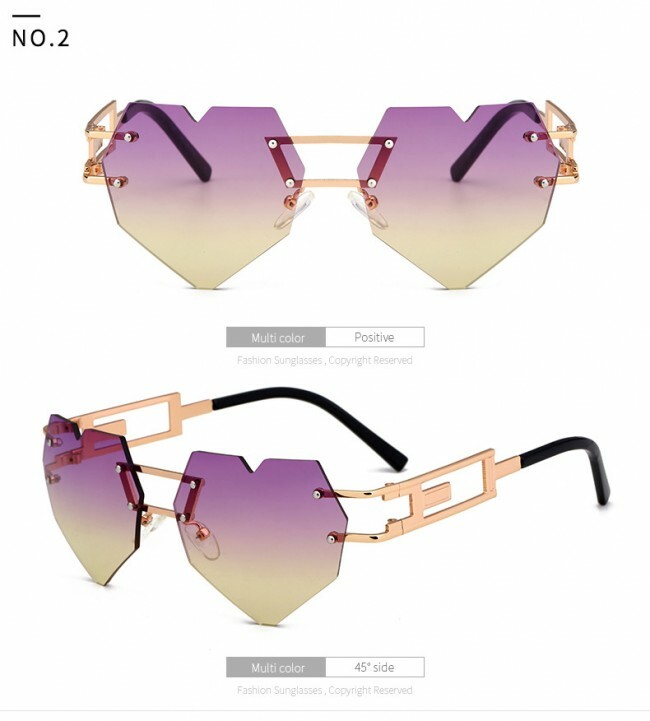 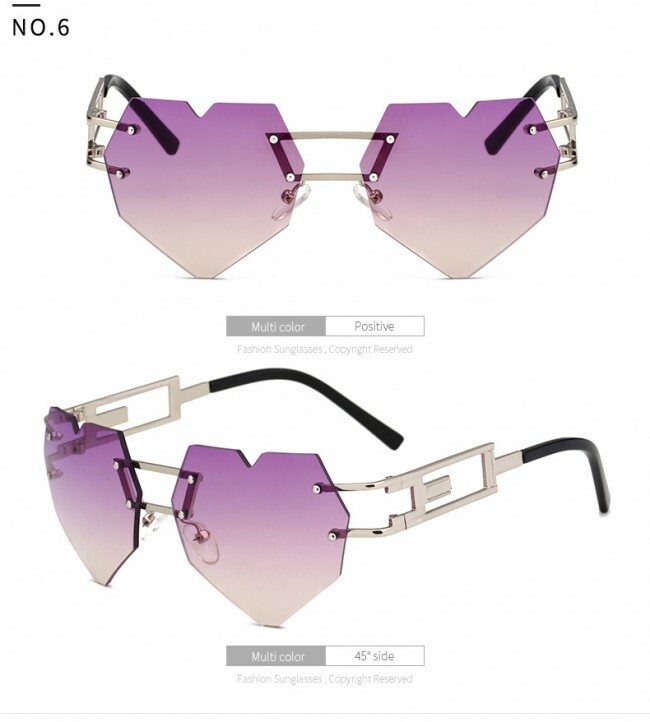 Stand out from crowd in these heart shaped shades. 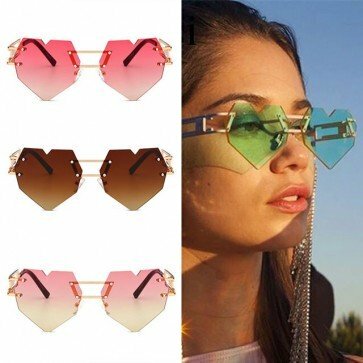 Contrasted with stunning candy colored lenses. 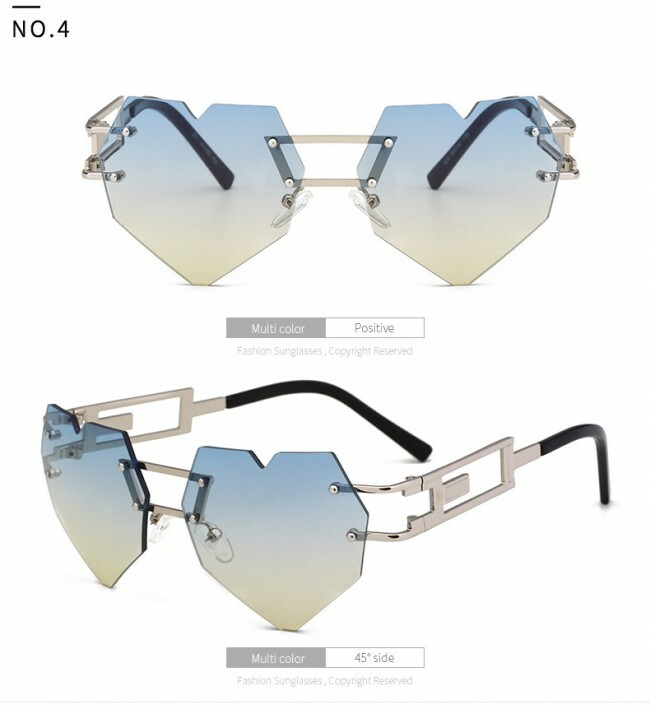 The perfect combination of artistic and abstract. 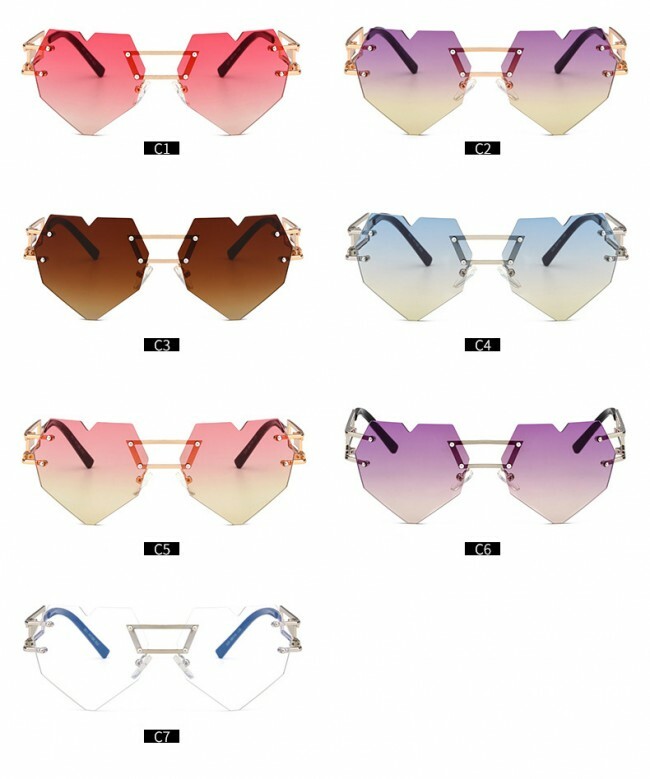 Stylish super light sunglasses are a total must-have. 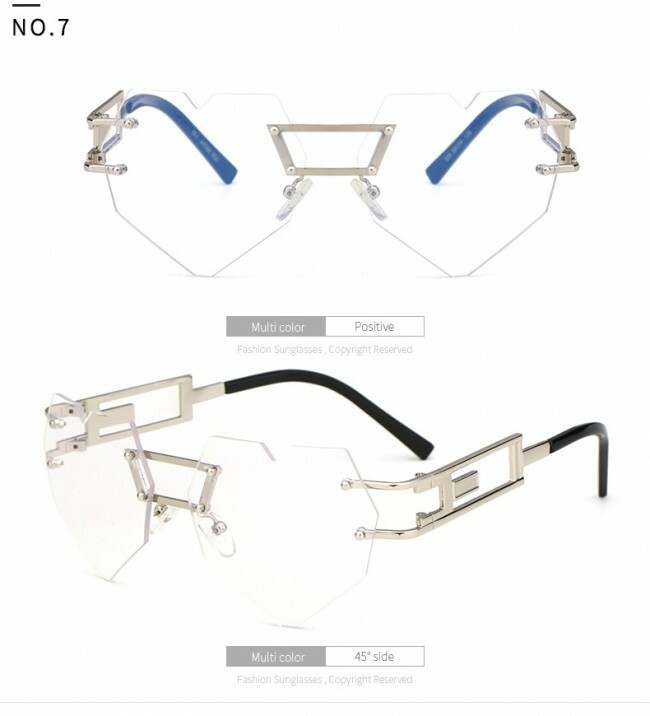 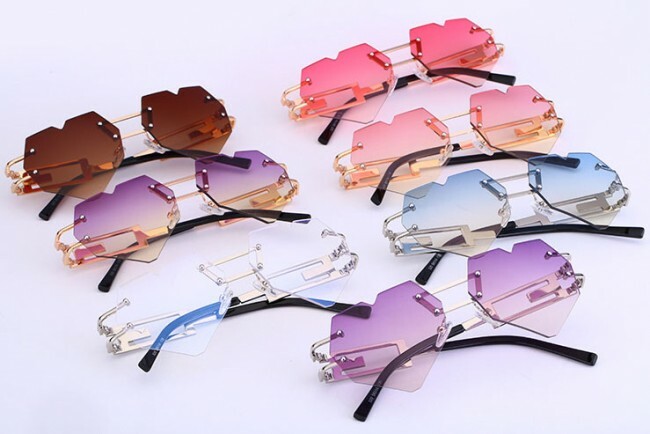 Alloy metal based frame and adjustable nose pieces. 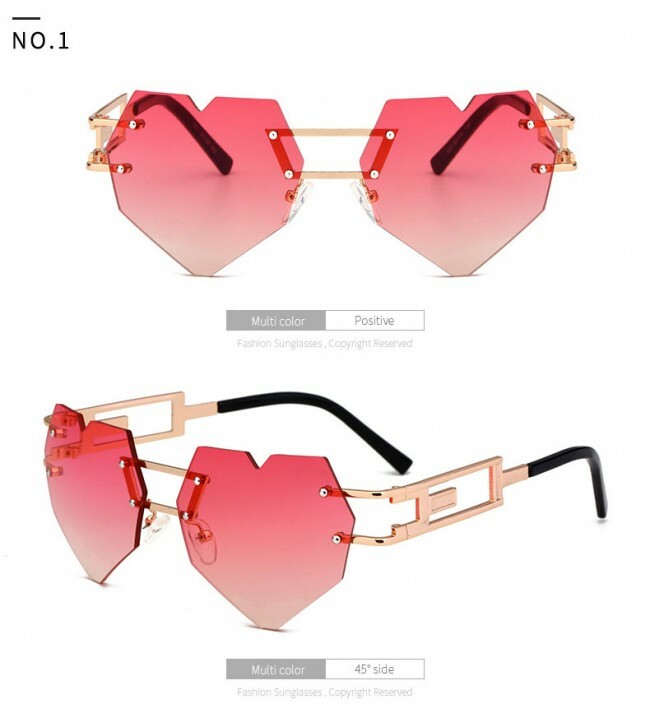 Color C6 is sold out now.